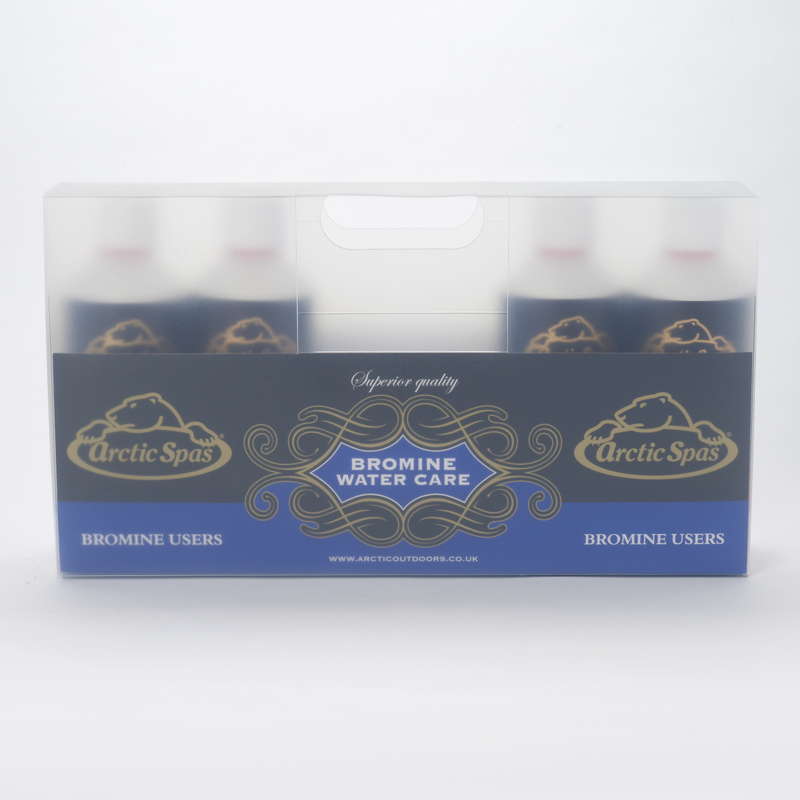 Arctic Spa Bromine Starter Kit. All the chemicals you’ll need to start treating your hot tub water. Contains 500g PH plus, 500g PH minus, 500ml Anti Foam, 500g Bromine Granules, 50 x test strips and instruction manual.